Walking can be just as healthy as running – especially when you do it regularly. Now you can walk whenever you want with a manual treadmill from Stamina. Having a portable, easy to use treadmill means you can walk comfortably indoors, rain or shine. You can even watch TV while exercising! What’s better than that? In addition to all these benefits, our treadmills are portable and non-electric. This is beneficial for a variety of reasons, which we’ll go more in-depth about below. Which Treadmill is Right for Me? So you’ve decided that a treadmill is the right cardio option for your routine. Now it’s time to figure out which type of treadmill you should buy! 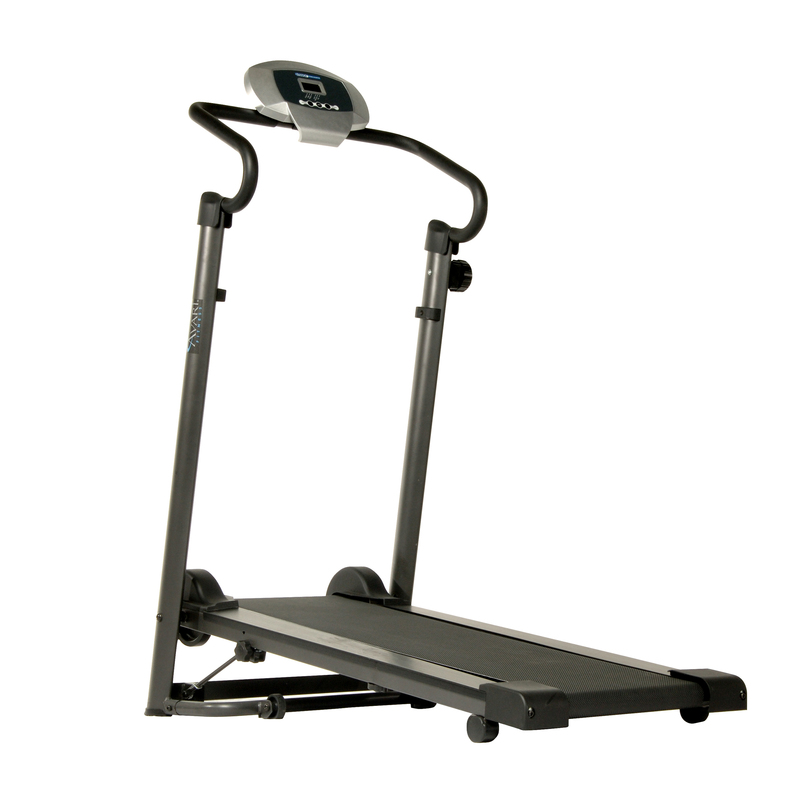 Here at Stamina Products, we sell the highest quality magnetic and manual treadmills. But what makes these treadmills a good alternative to motorized ones? First off, simply not having to deal with strategically placing the treadmill next to an outlet. Our treadmills can be placed anywhere with enough space. Speaking of space, manual and magnetic treadmills are much less bulky than electric options because they don’t have a motor. The lack of motor is also a benefit since you won’t have to worry about replacing it or repairing it. The space efficiency also makes it super easy to store away. Sometimes people are worried that a non-electric treadmill won’t give them the metrics they look for. Luckily, this isn’t a problem with our treadmills. Our treadmills come equipped with a monitor that will track your workout time, speed, distance, and calories burned. There are also different levels of incline and resistance to truly customize your workout to meet your running goals. Stamina Products is proud to provide the highest quality magnetic and manual treadmills for those looking to reach their fitness goals. Sticking to a routine and proper diet will truly make you feel healthier and help you to optimize your cardiovascular health. If you’re interested in our high-quality exercise equipment, contact Stamina Products today. We’ll help you order the perfect fitness solution to help you meet your goals. EAT WELL. FEEL GOOD. LIVE BETTER.